Kelly Keefe and Lisa Baumgartner, both long time State College residents, approached Global Connections last fall with the idea of organizing a crafting group where visiting internationals, and interested community members, could come together in order to socialize with each other, and spend a few hours each month sharing a love of ‘crafting.’ And so in December 2013, the “Conversation and Crafts” group was officially born! 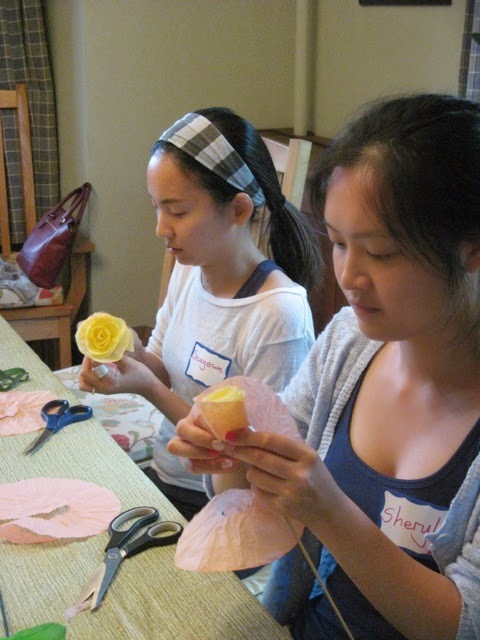 The ‘crafting’ involves anything made by hand: paper flowers, hand-blown and painted eggs, greeting cards, folded paper gift boxes, jewelry making… they have even baked cookies together! No special skills are needed, and attendees do not even have to feel that they are ‘artistic’ in order to participate. The idea is to have FUN, try something new, and have a friendly place to socialize. Most of the supplies used are donations given to the group by community members who are involved with Global Connections. The Conversation and Crafts group has been gifted with boxes of yarn, collections of paper, glue, markers, scissors, paints, beads, buttons, needlepoint supplies and much more. The group select projects based on the supplies they have at hand, and in keeping with the season of the year. Global Connections would like to personally thank Kelly and Lisa for their time, creativity, and commitment in offering an enjoyable space for our international community. 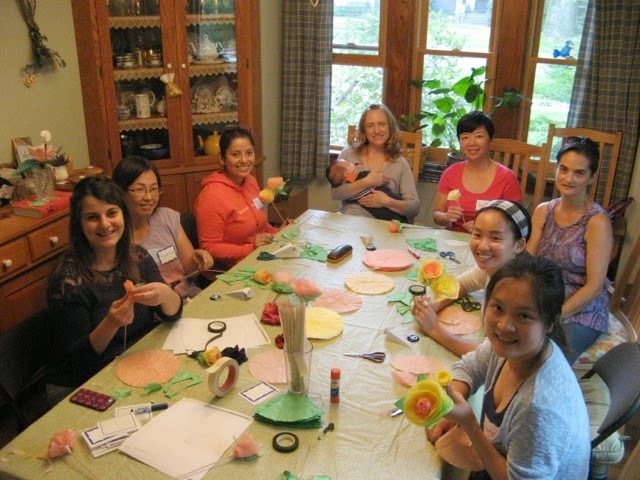 Their shared love of cooking, crafting, gardening, reading, and being ‘globally connected’ through friendship is evident in their efforts to form this group. 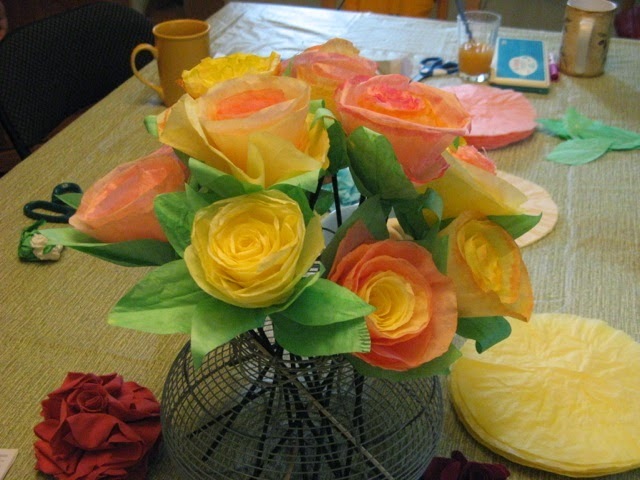 Please check our Conversation and Crafts Group web page for updates of meeting schedules. Space is limited to 9 participants. Interested individuals should RSVP to Lisa and Kelly at [email protected] to confirm availability and location details.